Corinphila Veilingen of Amstelveen in the Netherlands begins the auction year 2018 with more impressive material on offer. The upcoming auction series 233-236, which will take place on 10, 16 and 17 March 2018, awaits collectors with a high-class compilation of international philatelic and postal history material, as well as coins and postcards. Once again there are four auction catalogues, two of which are special catalogues. In addition to a further catalogue, which is reserved exclusively for the collecting areas of numismatics and picture postcards, the main catalogue once again offers an attractive variety of desirable single lots and attractive collections from the most diverse collecting areas, from the Netherlands and overseas. The sale last autumn of the unique “Netherlands” collection from the estate of the exceptional philatelist Joachim Ferdinand de Beaufort is followed by the second part in the upcoming auction with outstanding philatelic and postal history material of the Dutch possessions overseas. A large number of the valuable stamps and covers from his philatelic estate had been firmly in place for years and decades. The luxury hardbound special catalogue “Netherlands Colonies - the J.F. de Beaufort Collection” documents the numerous major and minor rarities of the Netherlands Indies, Curaçao and Suriname, whose sale is eagerly awaited by collectors from all over the world. Another top-quality collection comes up for sale with the “Postal History of the Second World War - the Stefan Drukker Collection”. Far beyond the usual range of material, this compilation of rare covers is remarkable, being a comprehensive contemporary historical documentation of the difficult years of the Second World War. From Judaica to censorship and camp mail, from the Netherlands to Germany and overseas, one has rarely seen a comparable collection of postal and contemporary historical documents covering so many different areas and aspects. Philatelists, collectors interested in postal history and historians alike, one can only recommend reading the special catalogue. About 180 lots, including bulk lots and collections, are waiting to be discovered. The main catalogue offers national and international philatelic material at its best. There is emphasis as usual on the issues of the Netherlands and former territories, including many top-quality items from the pre-philatelic to the modern. A rare offer of the “Postal History of Albania” is impressive with the dispersal of a specialised collection dedicated to the country’s eventful early (postal) history. Also noteworthy is the extensive special “International Air Mail” section, which presents an excellent assembly of many attractive lots. In addition, the usual high-quality single lots as well as exciting collections and bulk lots come up for sale from almost all collecting areas around the globe. As was the case for the first time in the September 2017 auction, there is a separate catalogue for postcards and the collecting areas of coins, banknotes and medals. In response to strong demand, the Corinphila team once again offers an attractive range of lots for lovers of numismatics and cartophily. 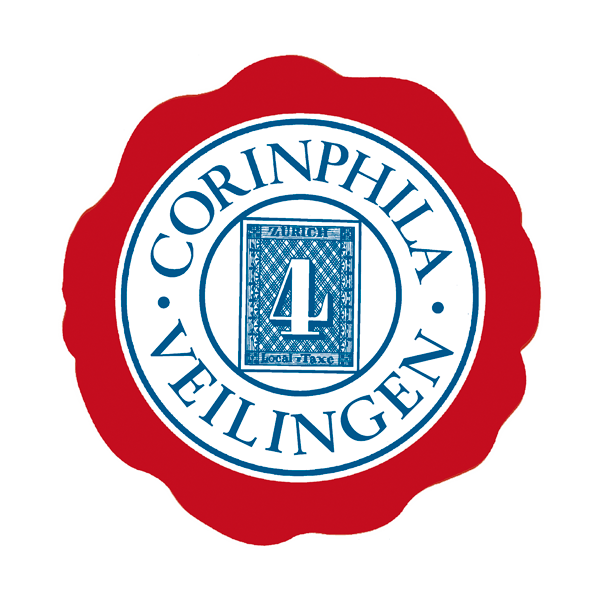 Prospective customers will find the full range of material being offered, including the special catalogues and all single items, bulk lots and collections in the online catalogue at www.corinphila.nl (also available as a PDF catalogue).